A city's independent traders are launching their own currency to boost local businesses and prevent it becoming another victim of 'Clone Town Britain'. Organisers hope the Bristol pound will stop big companies and bankers swallowing up cash that is desperately needed by hard pressed local firms. Over 100 business have already signed up to accept the new currency, which goes into circulation in May, including a family bakery, local theatre, dozens of small cafes and Somerset brewed Thatcher's Cider. 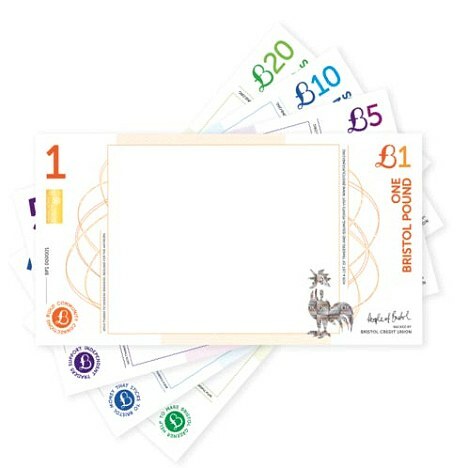 Notes will printed in £1, £5, £10 and £20 denominations, with one Bristol Pound worth exactly £1 sterling. Consumers can open an account with the Bristol Credit Union, which is administering the scheme. This money can then either be cashed for the notes or used electronically to pay bills online or even with a mobile phone. The currency has the backing of the Financial Services Authority (FSA) and will have the same protection as any other deposit account. 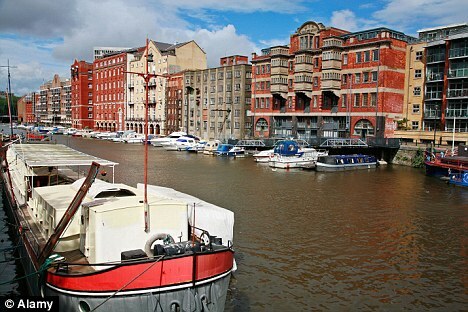 Ciaran Mundy, the director of the Bristol Pound, said the scheme hoped to keep cash in the city. He said: 'This will be money created by the people of Bristol for the Bristol people. 'Big companies just hoover up money from a local area. 'Massive shops with massive marketing and advertising budgets can easily wipe out local businesses. 'Money goes into their financial system and typically out into London and into the offshore sector. 'We'll be driving to get more money going to independent traders, to ensure we continue to keep the diversity of our city. 'One of the reasons people love living here is because it's got a massive number of diverse, independent traders. 'Sometimes we don't realise what we've got until it's gone. 'The whole town clone town Britain hasn't yet happened in Bristol yet, but there have been a lot of independent firms that have struggled. 'We have seen the shutters go up in and around Bristol. 'We also hope that visitors to the city will change a bit of money while they are here. The organisers are holding a competition to help design the new notes, although they have already created a logo, and produced security features to counter forgery. There is a silver hologram design, a gold foil strip with serial numbers embedded and other features which are impossible to reproduce. Barbara Janke (corr), leader of Bristol City Council, said: 'This is a chance to demonstrate the economic resilience of the city. The Totnes Pound was the first to launch, in Devon in 2006 and has 70 traders involved. Eighteen months ago Stroud, in Gloucestershire, starting printing its own currency, but to date no more than 30 firms are taking the money.